It was spring in Atlanta and it was warmer than average, but the weather was far from young Naomi Barber’s mind. She had become pregnant with her pastor’s son. They weren’t married. Margaret Sanger’s organization, the American Birth Control League (later Planned Parenthood,) was targeting minorities in the South, pushing their own flavor of eugenics—the belief that the “inferior races” should be culled. In the pre-Civil Rights era South, that meant people of color. Eighteen year old Naomi was scared and confused. Margaret Sanger offered a way out. “You don’t have to have a lot of babies, there are procedures for mysterious female ailments,” they promised. Naomi didn’t quite understand what this “procedure for mysterious female ailments” was, but it promised a solution. The “mysterious female ailment” was pregnancy and their solution was abortion. Since abortion was illegal, they couldn’t identify it by name and the league exploited the ignorance of the women they targeted. Naomi consulted her mother, Bessie Barber. The flier made Bessie uneasy and insisted they speak with their pastor — the baby’s grandfather. Naomi and Bessie sat across from the Reverend Martin Luther King Sr. in his office at the Ebenezer Baptist Church in Atlanta. The Reverend, affectionately called Daddy King within the family, was in his early 50s. Alfred Daniels “A. D.” King was the baby’s father and Daddy King’s youngest son. His oldest son, was Martin Luther King Jr. Both of Daddy King’s sons would become civil rights activists. The women explained Naomi was pregnant and what the league’s flier promised. Daddy King’s hand fell hard on the desk startling the two women. Naomi chose to keep her baby and would marry A. D. not long after the meeting. As Daddy King had prophetically spoken, Naomi gave birth to a girl with bright skin and red hair. She was named Alveda Celeste King. Her life was spared the fate the eugenists desired. Alveda would become an ardent opponent of Margaret Sanger’s Planned Parenthood, but not before it left it’s own dark mark on her life. “I thought he was the meanest daddy in the world, But he was the best daddy in the world!” she said glowing. Tragically, he died a week after the wedding. Alveda firmly believes he was murdered. Ten months later, Alveda gave birth to her first child. Four months after giving birth, she returned to her doctor for a pregnancy test. He claimed it was only an examination — a very painful examination. She would later learn that, without her consent or knowledge, he had aborted her child. The baby’s name was Philip. He referred her to Planned Parenthood. The post-abortive trauma, Alveda contends, lead to her becoming secretive and withdrawn. This would have far reaching negative effects on her relationships with her family and husband. “It’s an unnatural way of being alienated from people,” Alveda explained. Alveda was again pregnant. She had little in the way of a support system. Her father had died four years earlier, she didn’t speak with her mother, and she was now separated from her husband — who was encouraging her to have an abortion. Abortion was now legal. Alveda turned to Planned Parenthood. “So, that baby was aborted as well,” Alveda recalled somberly. Her daughter, Jessica, became another victim of Planned Parenthood’s deception. Often, Planned Parenthood speaks about empowering women and giving them a choice. They fail to mention that the consequences of having an abortion can take away future choices. “There was a lot of damage to my body during those procedures,” Alveda said, referring to the abortions. Her next pregnancy ended in a miscarriage that doctors would later attribute to the damage incurred from her abortions. She named him Raphael. Alveda had divorced her first husband and was now dating. She was a changed person, and not for the better, Alveda explained. Gone were the days of chastity — she had became pregnant with her new boyfriend’s baby. Alveda had never seen a sonogram. She didn’t know the baby inside of her wasn’t her own body, wasn’t just the blob of tissue Planned Parenthood erroneously claimed it was. She was living with her family, but had become withdrawn.. Yet, still unsure of herself, she decided to speak with King Sr., Daddy King. Echoing the events of two decades prior, Daddy King’s hand again fell hard on his desk. “I still had respect for my grandfather’s authority and there was enough of his authority spoken to me that I didn’t do it,” Alveda said. Although a baby had been saved, it would take another encounter and another decade for Alveda herself to be saved and set down a path of healing. In 1983, a colleague helped lead Alveda to Jesus Christ. For the first time, she realized she had played a role in the deaths of her children. That sorrow weighed heavily on her. Alveda spent time with Rachel’s Vineyard, a ministry that helps women heal from the emotional trauma of abortions. Since that time, Alveda has become an outspoken advocate of preborn children and women who are exploited by the abortion industry. She travels the country speaking with college students about her experiences, encouraging them to be vocal defending life. 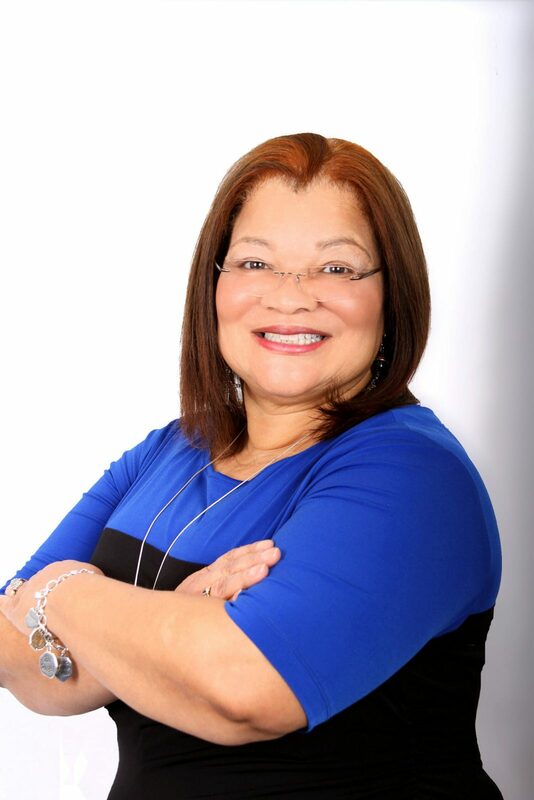 In addition to her advocacy, Alveda King is director of African American outreach of Priests for Life, author of “King Rules, Ten Truths for You, Your Family, and Our Nation to Prosper”, and founder of Alveda King Ministries. Posted in Blog and tagged Eugenics, King, Margret Sanger, MLK, planned parenthood.